Newly updated and refurnished four bedroom cottage with a spacious dinning room overlooking beautiful scenic views. Recent renovations include updated bathrooms and a dining room with bar for dining and relaxing. You can also sit outside and enjoy the sunshine on the beautiful deck. Sparrow Pond Pool 5 minutes from cottage. 10 miles of sandy beach and the ocean are just a quick scenic walk from the cottage. Or you can relax and enjoy the Sparrow Pond pool on your way to and from the beach. Hiking trails, bike trails, tennis courts and 5 amazing golf courses give you plenty to do on the island. Choose from a variety of first class restaurants including the 5 star Sanctuary. Kiawah Island also has its own grocery store and lots of fun shops to choose from. If you have children, their are lots of activities that can be booked through the Kiawah Island Resort. 3 bedroom, 3 baths with additional bunk room for kids. Large dining room with a bar which overlooks the woods and a lagoon. 5 to 7-minute walk to the pool and beach. Golf is available by booking through Kiawah Resorts. Kiawah Island Resort offers many activities. However, Night Heron Pool is not included. Sparrow Pond Cottage Pool is available. The cottage was perfect for our family of 9. The addition of the bunk room made it a 4 bedroom house plus 3 bathrooms. Would definitely stay again. Very comfortable cottage a stone’s throw from community pool and beach. Great for families with multiple kids. Thanks JoAnn. We had a wonderful time. We had both our daughters and their families join us. The R House was extremely comfortable. enough seating & dining area to accommodate 10 people. Each family had their own bedroom & bathroom and the kids just loved the bunk room. So close to the beach and the pool was right on the way, so we could take a quick dip on the way back to the cottage.. Thanks for the lovey accommodations. Thank you for the review. It was wonderful having you as our guest. Comfortable, clean, great location. Perfect for our family vacation! Our family enjoyed our stay so much. The area was very quiet at the end of a cul-de-sac, so very little traffic. Great proximity to beach and pool. We all really enjoyed our stay. There were 9 of us and there was plenty of space to accommodate us all. The dining room table fit us all for meals and game nights. Three bathrooms made it easy for everyone to get ready at the same time. The house felt very comfortable not super fancy but had a great beachy feeling so I didn’t have to constantly worry that my kids would break something and it felt like you were living in the trees. The landscape was very lush making sitting on the porch feel like you were in a tropical oasis. The property felt private and it was very quiet. We had deer visit every day that everyone enjoyed. We brought a fan for the porch which made it very comfortable to sit outside on the hot and humid days. So if you’re driving I recommend bringing one. The pool and ocean are a short walk or bike ride away. It is a great area to ride bikes. The beach is gorgeous. The boat marina on Kiawah was a few minutes away and had fun activities for the kids every evening, an ice cream shop, a few restaurants on the water, and a great pizza place. There is a convenience store very close to the property. There’s many options for day trips like exploring Charleston and all the plantations. We love to learn the history of the areas we visit. Magnolia Plantation was our favorite. The owners were very helpful and provided recommendations for restaurants and things to do. We all recommend this house and feel confident that your family will enjoy it as much as we did. The Sparrow Pond Cottage was a fabulous choice for our family of 6. It is nicely appointed and not "over furnished" like many similar units. We have stayed in Kiawah several times and overall, this Sparrow Pond was the best of many worlds for us. It was very close to the beach and General Store, and close enough to the entrance of the island that you could run to Harris Teeter in minutes. The owners were very accommodating with our dates and needs. 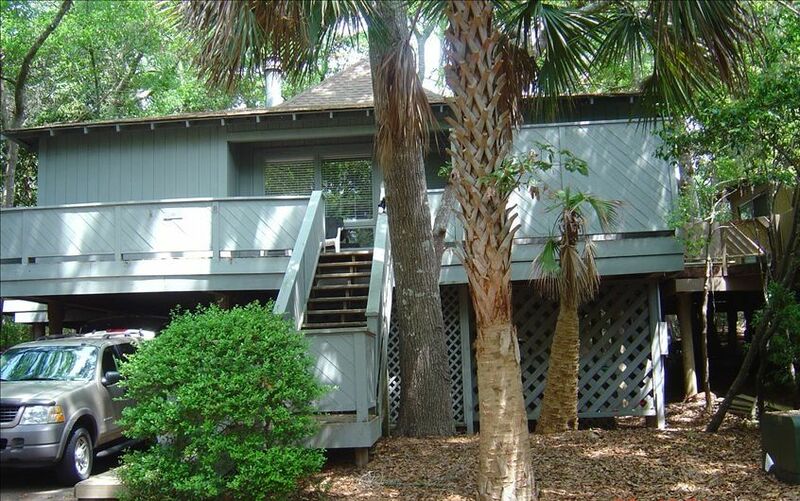 If you're looking for a family friendly Kiawah cottage, this is a great choice. Kiawah Nature Center offers many children activities and camps. Nature trails can be hiked or biked. 5 championship golf courses on island and top ranked tennis courts and classes. 10 miles of private beach offering swimming and opportunities for shelling and walking. 25 miles to Charleston for sightseeing and dining. Many restaurants are on the Island and in surrounding areas. The five star Sanctuary Hotel has restaurants and shopping on the island. A private pool for Sparrow Pond is a five minute walk.